Allegra Boverman/Gloucester Daily Times. 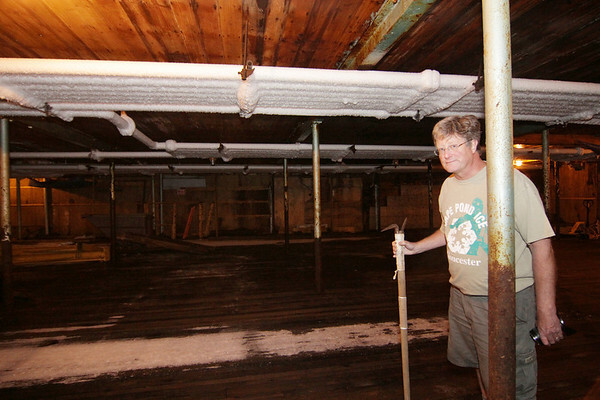 Scott Memhard, owner of Cape Pond Ice, on the third floor of the company's building. This space used to be filled with ice waiting to supply fishing vessels and has now been empty since last year. It could be transformed into a restaurant, he says.